Welcome Friends and Fans! We are here to (as Mariah says) "MAKE IT HAPPEN"! This is "Soulful White Hummingbird” recording artist/DJ/producer/songwriter Adam Joseph here—you know, the star of MTV LOGO music video hits; "Faggoty Attention", "Flow With My Soul" and "You're Mine”. Well, the music video for my song "LINDA EVANGELISTA" ft. Aja (released 4/12/17) from RuPaul's Drag Race Season 9 has swept the web with over a million views across several online platforms and gained praise from The Queen Mother, RuPaul herself! Meanwhile my latest video "Out Of Control" (released 5/19/17) is now in rotation on European TV Network "ESKA". I’ve been hustling for 15 years in the music industry and even with my success it's still a constant struggle to keep it moving forward and find the budget for new projects. I've got some great new songs coming out soon and I would like nothing more than to give them the quality music videos that they deserve. The only thing is...Music videos are expensive! Cameras, camera operators, editors, locations, actors, looks, makeup…It takes a lot to make a high quality video that you want to watch over and over again! With your help we can make these music videos happen! Just a small donation goes a long way. As a thank you you'll get the unreleased songs emailed to you before anyone else gets to hear them! There are 2 new songs that I want to make music videos for and with this money I can make it happen for both of them! Upon donating you will also get copies of "COOKIES" ft. Vanessa Vanjoe Mateo, "Voguing Right Now" ft. Vanessa Hudgens, "Okurrr" ft. Laganja Estranja, "NOT MADONNA" ft. Michelle Visage, "Thirsty" ft. Peppermint, my Viral Club Banger "Reclaiming My Time" (ft. Maxine Waters) and 2 of my new RuPaul's Drag Race Tracks that are currently only available streaming exclusively on SoundCloud! I'm planning to shoot one video in LA with some great video producers I've met since moving here and another in Poland while I'm touring in Europe during the fall with the same production company that I did the music video for my latest single "Out of Control". The Music Videos will be submitted to all of the Major Music Networks including LOGO, MTV U.S.A., MTV Europe, MTV Asia, VH1, VH1 Soul, Much Music, Viva, 4FunTV, Promo Only and many others across the world. Of course they will also be available on YouTube for your viewing pleasure. Thank you so much for your support! It means the world to me and remember...You're perfect, you're beautiful (and most importantly) you look like Linda Evangelista! Keep in mind that I'm sending out the reward emails personally so it can take up to 24 hours for me to send you the songs. P.S. Check out my latest music video "Out Of Control" to see the type of high quality video we can get from the production company I plan to work with. We're still going up! Thanks to your donations I've been able to get some great work done in the past few months. I'm still working to reach my goal which we're nearly 4/5 away from! Tell a friend, share a song, post a music video! Any of these things are so helpful in my journey as an indie artist. I can't wait for you to check out the new music videos and songs I have coming out. 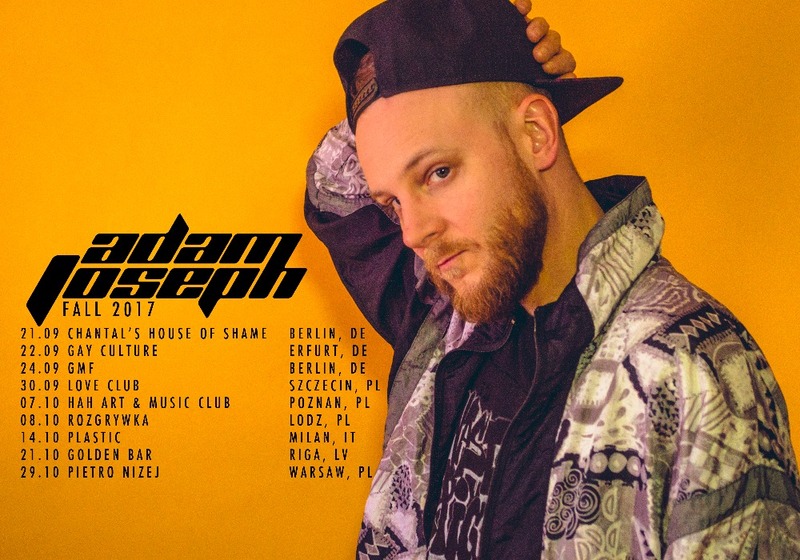 I'm heading over to Europe tomorrow for a tour over the next 6 weeks! Check out my dates and if you're close by, I'd love to see you at a show! Hello! I just sent out your second reward for donating! 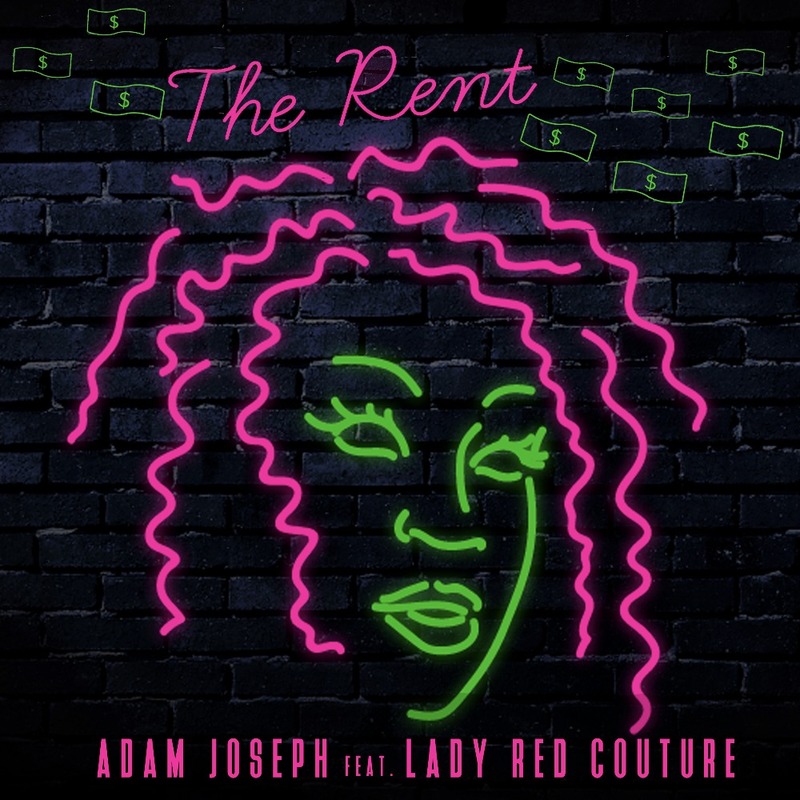 You should have your advanced copy of my new single "The Rent" ft. Lady Red Couture in your email inbox right now! Go give it a listen before the lyric video and song come out next week! Thanks again for donating! I couldn't do it without your support! 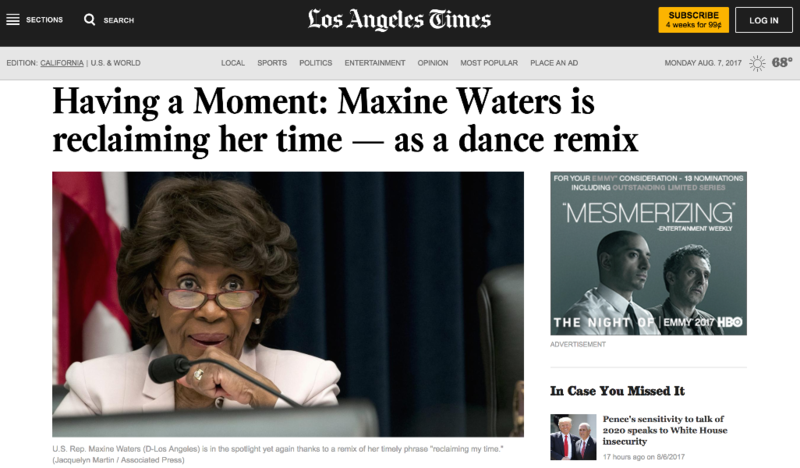 Well this week has been incredible for me with my new song "Reclaiming My Time" [ft. Maxine Waters] going crazy viral and getting covered on CNN, Out.com and The Los Angeles Times all within less than 7 days of the release! It's because of supporters like you that I'm able to create songs like this. You guys make such a difference to my life and art and I hope you know how much I appreciate it! I'm shooting a new music video this Wednesday and Thursday in NYC for a new song I'm featured on as a vocalist and I can't wait for you to see it! The concept is pretty crazy and I'm really excited to film! I also have a lyric video that's getting finished up soon for my next single that I produced featuring Lady Red Couture. Yeah, you made all that happen so pat yourself on the back! As a donor you'll be getting copies of all these songs before anyone else gets to hear them! We've just broken 3K in the fundraiser and still have a little ways to go so keep sharing and spreading the word. Thank You Soo Much for your support! We're over the hump! As of today we are over halfway to the goal for the music video fundraiser!!! Thank you so much to everyone who has been so generous with your donations. 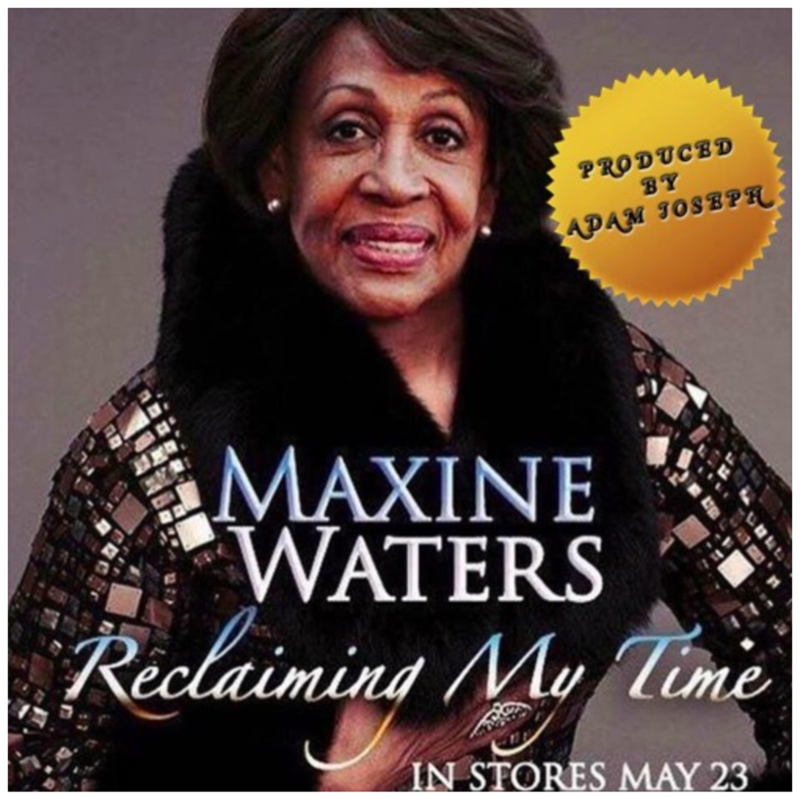 I'm adding my new viral club banger "Reclaiming My Time" featuring Auntie Maxine Waters (which has over 300K hits online since it's release on Sunday) to the reward package! If you donated before the creation of this new national treasure just reply to the email I originally sent to you and I will send you "Reclaiming My Time" right away! Don't forget to share the campaign and encourage others to support!